Erin and Jennell's best sellers are the Stag pillow and the Thomas Paul Tree pillow. Sizes offered are 20x20, 14x18 and 12x18. A herringbone wool blanket is hard not to love- especially this black and white one lined with black camel hair. As shared on their site, "It is heaven. It is soft and luxurious and rich." 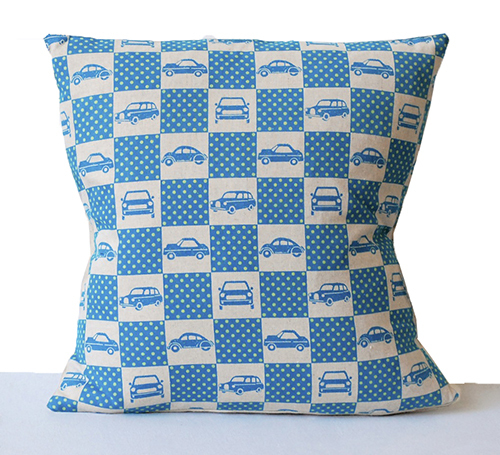 In their shop, you'll find a mix of classic, print and geometric pillows- and even some leather ones too. Erin, "We love meshing unexpected prints and textiles together to create something truly unique." 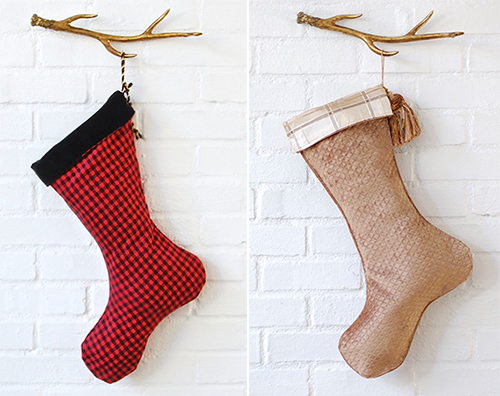 Look for some Christmas stockings in their shop soon too. You can buy them as is or as always, request any pillow, blanket or stocking to be made with your favorite fabrics and textures. Check out the entirety of their shop to add more pretty pillows and textiles to your life, here.